Eine schöne Rundtour für fortgeschrittene Langläufer. 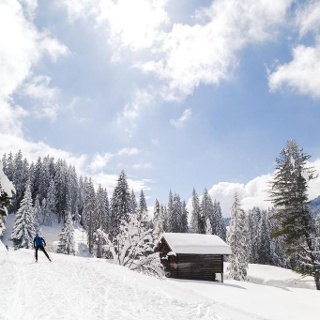 This cross-country tour with start and end point at the cross-country ski centre in Canols is suitable for advanced cross-country skiers who love the challenging terrain. 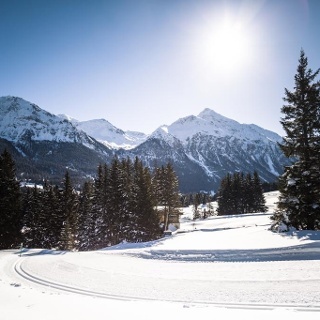 This tour will lead you through beautiful forest landscapes and promises a great panorama over Valbella and Lenzerheide on the highest point (1'575 m asl). Enjoy the sun terrace at the Kiosk in Valbella Canols with a wonderful view on the lake Heidsee at the end of the tour. 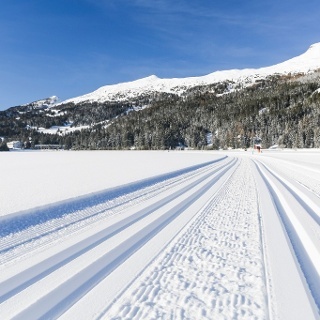 You can rent or buy your cross-country ski equipment in one of the sport shops. More information can be found here. 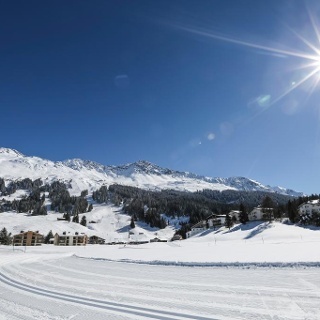 Information about the cross-country ski area Lenzerheide can be found here. Die Anreise erfolgt mit dem Zug nach Chur, dann steigen Sie direkt auf die Busse von PostautoGraubünden um und gelangen so innert 30 Minuten nach Valbella (Postauto Haltestelle: Valbella Canols). Von dort aus gelangen Sie zu Fuss zum Loipen-Einstieg. Von Basel und Zürich - Chur-Süd (Ausfahrt Nr. 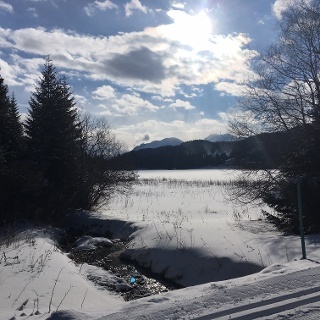 17) - Valbella. 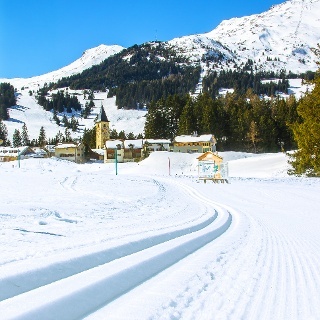 Von Milano - Lugano - San-Bernadino-Tunnel - Thusis - Chur-Süd (Ausfahrt Lenzerheide) - Valbella. Parkieren können Sie beim Parkplatz Canols, direkt beim Langlaufzentrum.